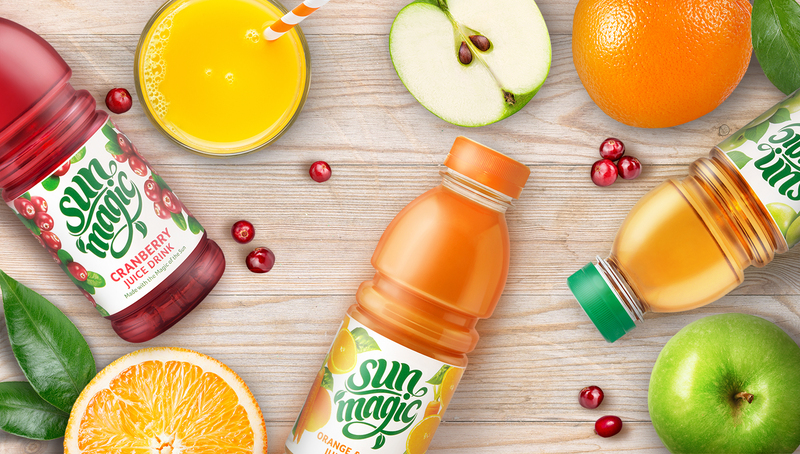 Sunmagic is a well-established, premium range of juices in a variety of shapes and sizes, from little cartons for lunchboxes, to on-the-go bottles to drink at work, and larger packs to take home. 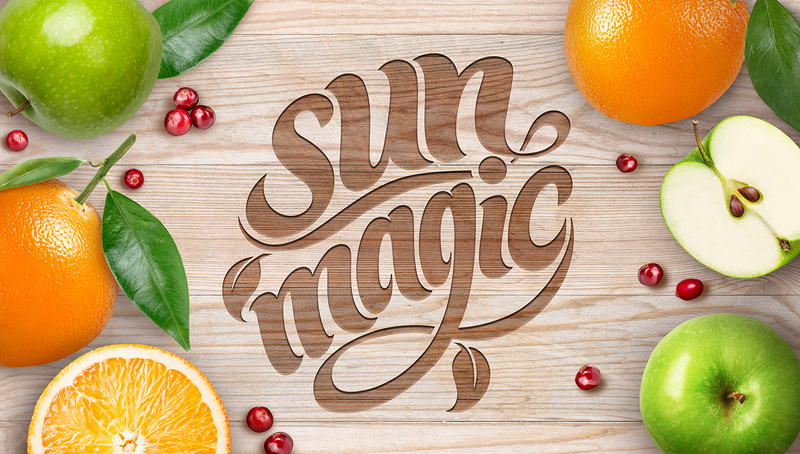 The team from Sunmagic approached Identica to create a new visual identity and pack for this important brand as they felt the current design was struggling to stand out against competitors in an overcrowded and highly dynamic category. 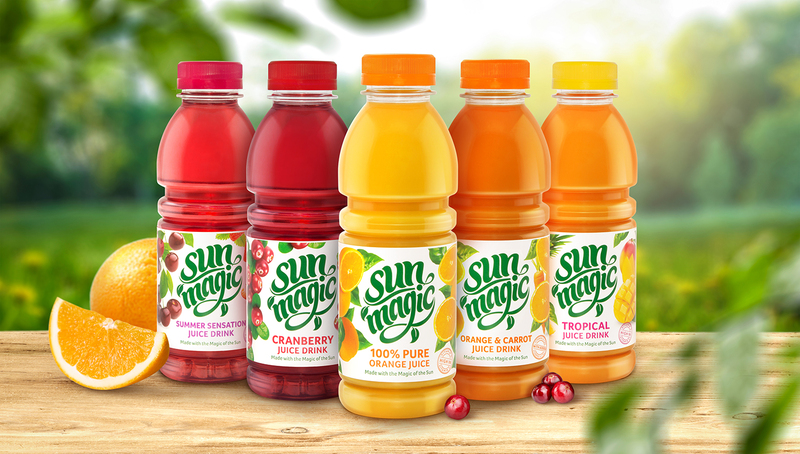 Looking at consumer trends more generally and how the sector was developing in particular, we felt that Summagic identity needed moving on, to bring it up to date to reflect increasing consumer interest in the quality and integrity of the products they choose, and to hero the high quality of the produce that SunMagic uses in all their variants. Our creative team began by creating a new logo, which visually represented the growing fruit, in trees being ripened by the sun, and then moved onto the overall look and feel of the bottle to produce a fresher more realistic representation of fruit, and a clean and simplistic look to the overall range. In all, our team designed across a range of 8 SKU’s ranging from individual fruit juices through to fruit mixtures. We even took the design onto their lorry fleet, so create a piece of mobile advertising for the brand.